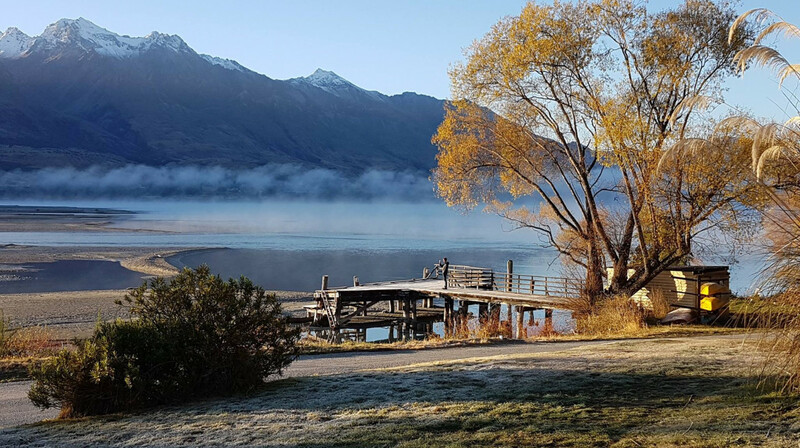 A lakefront heritage experience awaits at Kinloch Lodge just 1 hour yet a million miles from the busyness of Queenstown. The lodge was established in the 1880s by Captain Richard Bryant, an Englishman who came to New Zealand to seek gold after 20 years at sea. 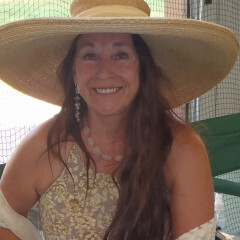 Unlucky at the gold fields, he and his Irish wife, Mary Anne turned their hands to hospitality. After years of neglect, the lodge was purchased in 2000 by John and Toni Glover who lovingly restored it. Soak up the heritage atmosphere as you enjoy lunch or dinner at this unique property with jaw-dropping views. The evening menu is changed nightly to reflect the best natural produce available, which is sourced locally and sustainably wherever possible. 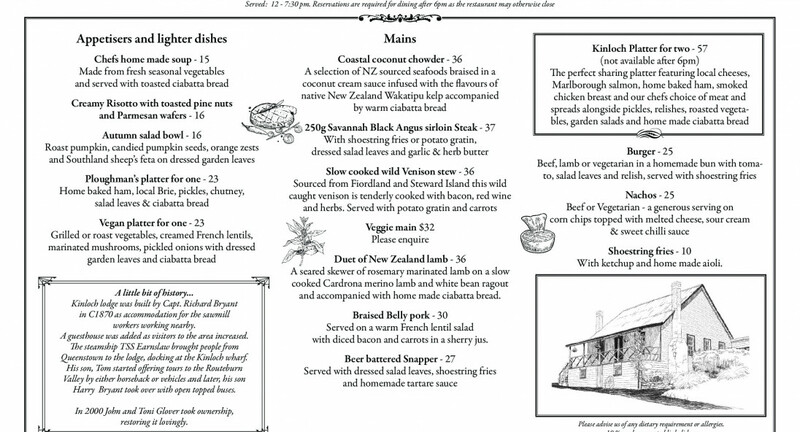 Wild red deer is sourced from remote South Island high country stations, DOC administered forests and mountains while lamb is sourced from Cardrona valley and eggs are courtesy of the free-range hens which live at Kinloch. Even the coffee is made with filtered water sourced from nearby Dart River. 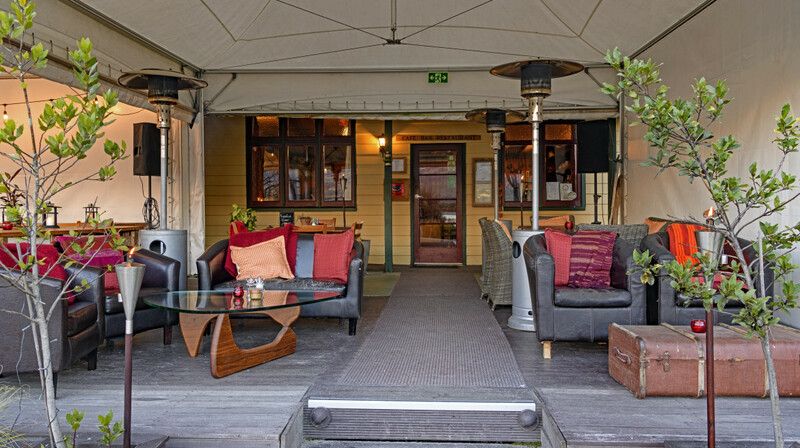 For a hearty and truly South Island dining experience, go on an adventure to Kinloch. One of our very best restaurant experiences! 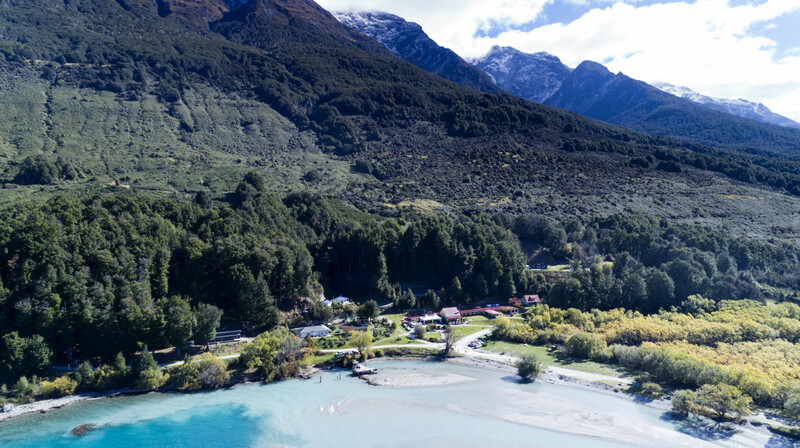 We travel through the gravel road from Glenorchy but it was totally worth it. The view from our table was spectacular - beautiful and peaceful. The food was excellent - we left nothing on the plates. Such great views and delicious food! The food was just mediocre. Don’t come here for the food but if you want to go to Kinloch, it is the only place to eat. Wonderful scenery, attentive service, and the incredible sharing platter for two. One of the best dining experiences we have had in New Zealand! Our party had a lovely lunch, very relaxing with attentive staff. The setting is lovely with lake views. After riding horses on an amazing two day over night ride it was great sitting outside and having a refreshing signature cocktail with fresh mint and rosemary . The board with many selections of cheeses , fish , fruit, and vegetables was presented beautifully . Our server was extremely interesting from living in other countries and was very pleasant when we carried a conversation . We plan to come back . This is an amazing place. It is a little ways outside if glenarchy so it is also not very hard to grab a spot. It is perfect place to go after a day hike in the area as it is close to all of the hikes in the area. What a beautiful place! Very impressed with the selection of food considering how remote they are. They also were accommodation to my nutritional needs, thank you!! We had a lovely time out at Kinloch.a great setting. Great food, friendly service, the place feels really homely. We had a awesome time at Kinloch. The day was stunning. The platter for 2 was really big and a great mix of meats and relishes and veges.The steak was tasty and nicely cooked and the beef burger was delicious.The Mondillo Rose was so yummy. Thank you. We will be back to visit. Great Food with kind and welcoming staff. 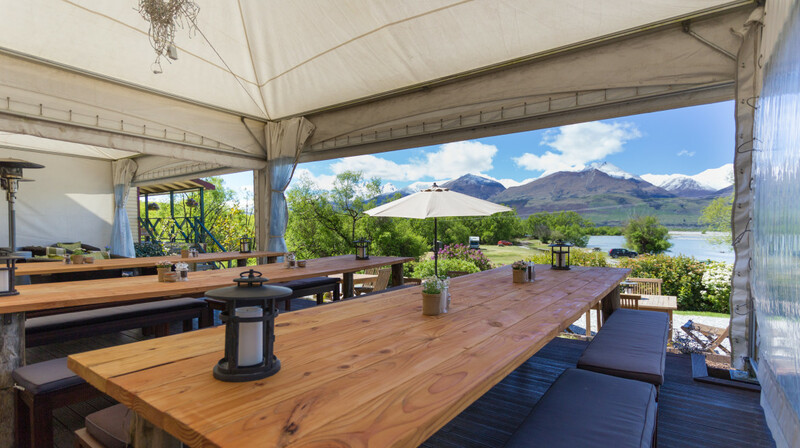 Alongside the secluded location and sunny skies, this is a must if youre visiting the area or need to get away from busy Queenstown. The platter for two lunch with a glass of savvy by the fireside was a real treat. Wonderful delicious food and excellent friendly service. Not to be missed. We had a beautiful platter for two. The food, service and the view was excellent! Absolutely loved it! 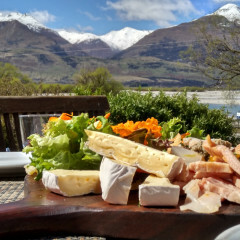 If you like discovery part of NZ you have never seen before, and ending up at a lovely little lodge for a beautiful meal...then you should try this! It is 25 mins past Glenorchy, but the drive is worth it. We had lunch, and ordered a shared platter, which was the best platter ever! We will be back for sure, bringing our husbands next time! 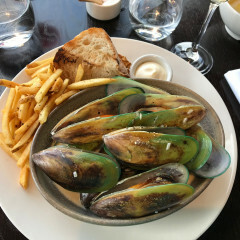 My 'profile photo' is of our lunch there at Kinloch yesterday! 10/10 for a unique experience! Had an absolutely awesome time and would HIGHLY recommend. Absolutely spectacular views, gorgeous , tranquil surroundings and peace in the natural beauty. 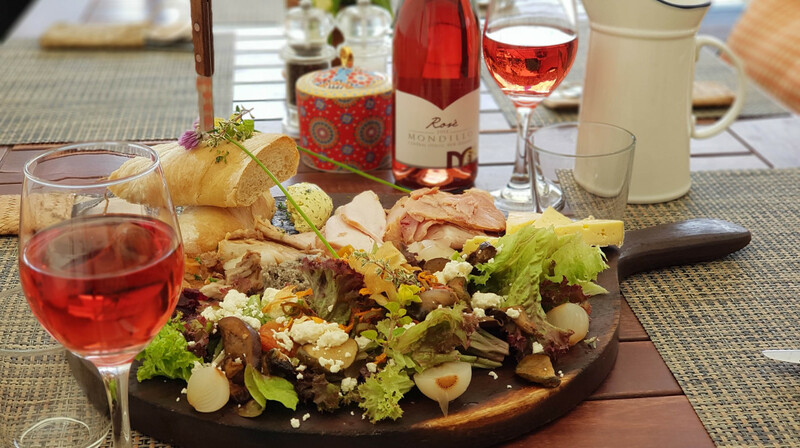 We had the shared platter which was different from bay platters we've had before because it had a salad with chunky winter vegetables and handpicked salad leaves! The chutneys were gorgeous and the Brie was soft and tasty! We also had some spiced wine which was crisp and cinnamon, perfect for a spring lunchtime . We also tried the Gibbston Sav and a dark ale whichever were both fab. Our hostess was lovely, chatty and attentive with super friendly and excellent service. Couldn't recommend highly enough! Great service and amazing views. Great spot for lunch. My boyfriend and I had a beautiful meal at Kinloch. We started by sharing the ploughmans platter then both had the beautiful venison stew with potatoe cakes and moi moi crisps, it was amazing! We even had room for dessert. Such a lovely evening in a stunning setting. It was an incredible experience!! The food was perfect and the service too. The landscape take your breath away, which makes the ride much more special. We will certainly back!! Drving to Kinloch from Queenstown via Glenorchy on a winters day is a great experience. We photographed the mountains covered in snow and also ventured another 12 kms to the beginning of the Greenstone and had to ford two creeks. 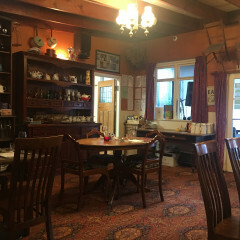 The Lodge was built in 1868 and is full of memorabilia. The three of us enjoyed a shared platter with fresh ham of the bone followed by a wild venison stew. I had a pear and chocolate almond crumble with almond ice-cream a fitting end to an enjoyable meal in the warmth. So initially we weren't expecting anything fancy. Most of the a la carte menu is typical of what you'd expect to see at a gastro pub. We opted to go for the 3 course set menu, which looked a little bit fancier. The most memorable things from the evening were the deserts. Although the entrees and mains sounded enticing, and were nicely presented, the size, flavours and textures didn't really pan out as expected. In hindsight, we probably would have been happier with the a la carte menu from a value for money perspective. The reason for the neutral service score is that the restaurant was also where people checked into the lodge. This meant the main server was doing double duty checking people in, and people were coming in and out of the restaurant area, often leaving the door open (when the night temperatures were in single digits). The location, food and good company was just amazing. An historic setting with an awesome view of the lake in a romote location..nothing better. memorable and 'that wanting to come back soon' kinda feeling. We had a lovely time at Kinloch.Actually we already been here for several times,the place itself was amazing ,nice and quiet . We ordered the full meals this time,the chunky soup and platter was very nice and special ,and also the staff was so helpful ,she make us feel so welcomed.Thank you so much.We will be back for sure! Excellent food and friendly service. The gin and tonic John Dory was divine as was the Venison stew. Already looking at my next visit! Kinloch lodge is in a beautiful location on the edge of the lake. The restaurant has an amazing view, relaxing music, attentive staff and great food. We had the set menu which was delicious. Overall a fantastic experience. 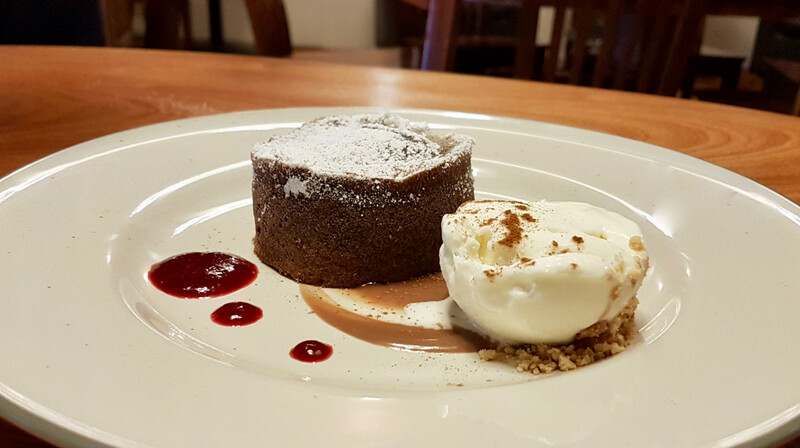 Succulent lamb, rich and warming venison and Whittaker's chocolate tart to die for. 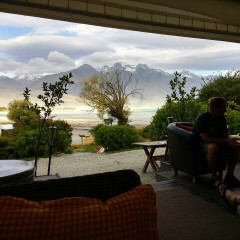 Plus, of course, an unparalleled view over the Dart River to Glenorchy and the Richardson range. For our last evening in New Zealand, we could not have been in a more delightful place. Definitely on our list for next time. Little confusion to begin the evening as the wait staff didn't seem too sure of the First Table reservation. Beautiful location, we had the 3 course menu and it was great, portions slightly on the small side but filling none the less. We had an extra guest join us for dinner and grateful that this was accommodated without a fuss. Great food. Beautiful location. Friendly service. Thanks for a delicious meal. Fantastic breakfast with amazing views, loved it! Having booked at Kinloch Lodge gave us the opportunity to experience the most beautiful of drives. We had the steak and the battered fish - both were good. The views of the lake and mountains alone would be well worth it but the food too was fantastic! I had the chefs choice 3-course dinner which was delicious. 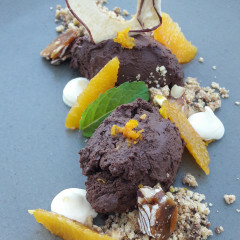 The chocolate mousse for dessert was just divine!!! Lovely service and I can highly recommend the jam night on the last Friday of the month. We had a great adventure making it to Kinloch! What a drive! The beautiful Syrah kept us warm. Marleen went for the 3-course meal and the carrot soup was off the charts. I got the fishχps which was ok. The service was good, the new personnel was very friendly and helpful. We highly recommend first table at Kinloch Lodge! 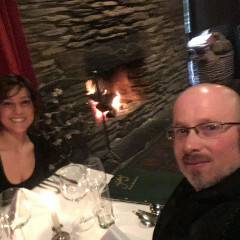 We are Queenstown locals and just wanted a night away for my husbands birthday. Rooms are very nice, dinner was simply delicious and the owners are very friendly and helpful. Fantastic (remote) location & delicious food. 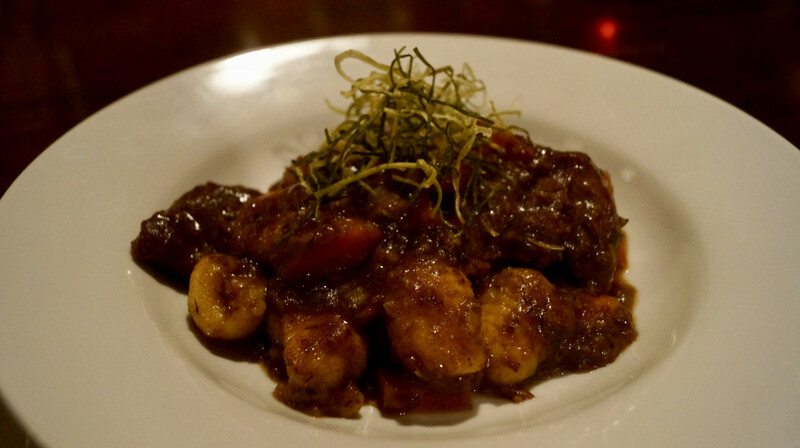 The (Austrian) chef's special 3 course menu @ $49 was delicious & great value. Just the right quantities and great quality. The venison stew was also a highlight. I highly recommend it !! Fantastic food, great service in one of the most amazing parts of the world. We will definitely come back again. A beautiful restaurant with a beautiful view in a beautiful location. The food was excellent - such subtle flavours and made with real pride and passion. The service too was excellent. This is definitely somewhere we shall visit again, even if just for coffee and cake whilst out fishing. Thank you very much, Kinloch Lodge, for the perfect finish to Fathers Day.